Air B&B: Rent Overnight Accomodations From a Stranger, AKA "Local Tour Guide"? 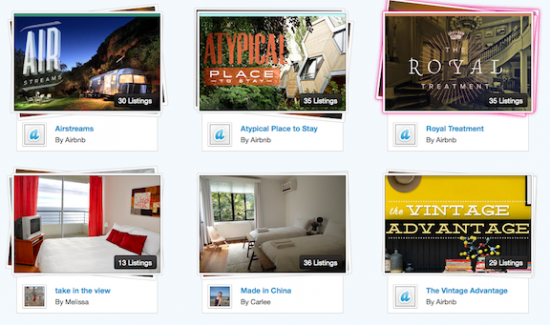 Air B&B: Would You Rent Overnight Accomodations From a Stranger, AKA “Local Tour Guide”? I write about what might seem like a lot of topics. But here’s what is stirring behind it all: community…connectivity…friendship. From Portable Faith, a faith book for those who want to “live” church in the public sphere, to pop culture commentary on–well, in this case, a new twist on Bed and Breakfasts–for me (and this website) it all boils down to living life together. But what about you? Are you as attracted to community as I am? And if so, would you consider this? Would you rent overnight accommodations from a stranger? That’s the premise behind Air B&B. Here’s the basics. Two guys–Joe Gebbia and Brian Chesky–knew hotels were booked when a prominent design conference came to their town. They decided to solve the problem via a little creative community. They successfully rented some space in their place to accommodate out of town conference attendees. As it turned out, there were many people out there looking for places to stay where the hospitality was genuine and the M&Ms didn’t cost $6. In staying this way, their guests also gained insight into the city from a fresh, local perspective, making for a truly authentic and memorable experience. Two air mattresses, a thousand dollars, three new friends, and many high fives later, the entrepreneurs realized an opportunity. …What began with three guys (another one joined them later) and airbeds has now evolved into a thriving business. Offering a diversity of accommodations–from private homes to private islands in over 33,000 cities in 192 countries–Airbnb unlocks the doors to unique spaces around the globe. Now people can discover a authentic, local side of the cities and cultures they visit while providing their hosts with a new stream of income. Our community is comprised of users, passionate and eager to explore and enrich the world through the sharing of space. We invite you to join the movement and become part of our story. End result: You can log on and rent a space–a room with a view, a cottage, a loft, even an airstream–or list your space. Oh and for those worried about the safety of renting from well, ordinary people (rather than hotels run by ordinary people), Airbnb has a special page just for you. There are even videos. Enjoy. So what about it? Would you consider renting your space for overnight guests you didn’t know? Would you consider renting from other people? What about if someone (like me? =) suggested we trade houses for a weekend to explore each others’ regions? What would you say? What attracts you to this more relational, community-driven solution to accommodations and what sends you running in the other direction? Sarah, I totally would! :):):) Rent a room from someone through a service or trade spaces with you, that is. I know people will say it’s dangerous. And clearly there are dangers anytime common sense isn’t used, but with modern technology being what it is, there’s a lot of ways to find peace of mind about a stay…not least of which is talking to the people involved ahead of time. I feel a little leery about it (rightfully so I think) but that doesn’t mean I completely rule it out. I sell stuff on a local community website that integrates with Facebook. That makes it pretty easy to find common friends with other sellers or buyers you don’t know and “check them out” by virtue of the larger community. I think I’d be more opt to do this in a group. But depending on the safety precautions available, I’d consider giving it a try. Please tell me you’re not going to trade rooms with a stranger. And announce it on the internet. Please. Just used Air B&B in Manhattan. We stayed in a great studio apartment–much bigger than a hotel room–for half the price of what we saw on Priceline. Our hostess/home owner/girl left us snacks and coffee and a notebook with all her favorite local restaurants reviewed, categorized and ranked. She was very friendly, prompt, all that good stuff. Hahaha. Let’s be clear. My parents read me news stories about foolish youth just for fun… I’ve got plenty of common sense and no death wish. But here’s the thing. We trust strangers all the time. We trust when we go into get a hair cut and find only a few employees in an empty room, that they aren’t going to harm us. We trust that valets aren’t going to drive away with our car or hotel servicemen who carry our bags aren’t going to follow us into our rooms. We trust based on some criteria–it seems reputable, we can check it out with more than one source, our instincts gel with it, whatever. Is it possible someone could provide enough safeguard that renting a room from another citizen would be similarly safe and even become mainstreamed? And nope. I won’t be giving out my address any time soon. But trading houses with existing friends and the like, I’d take that adventure sometimes. @Jennifer, thanks for sharing your positive experience here. I already rent cottages or condos from time to time for family vacations where owners often leave rafts, life jackets, yard toys etc. as well as books of restaurant menus for me. I love the idea of having someone do that for an overnight stay as well. my name is zoe and i m looking for a small studio to rent a month in paris. i have limited budget and i found it hard to get one. my friend recommended me this blog. is there any possiblity that i can find a safe place to stay for a month for my trip with a reasonable price? How do I list my rooms for rent in my private home with pool in Pensacola, FL. Let me know how to list my house with a swimming pool for private rent. What are the regulations for such rentals? I stay in TENNESSEE, CITY OF CHATTANOOGA. My son is planning a 40th birthday bush in Las Vegas in May. I really don’t want to stay there for the 5 days he had planned (don’t want to cramp his style) haha. Looking to surprise him by on his birthday May 16. Looking for a place to stay. Not looking to spend a fortune. Just looking for a 2 day stay. Sarah is an author, researcher, and friendship enthusiast; wife to the Pontoon captain and Chief Servant to two small blond tyrants.